Once there was a princess named Pomella who never threw a tantrum, which by itself made her very different from all other princesses. 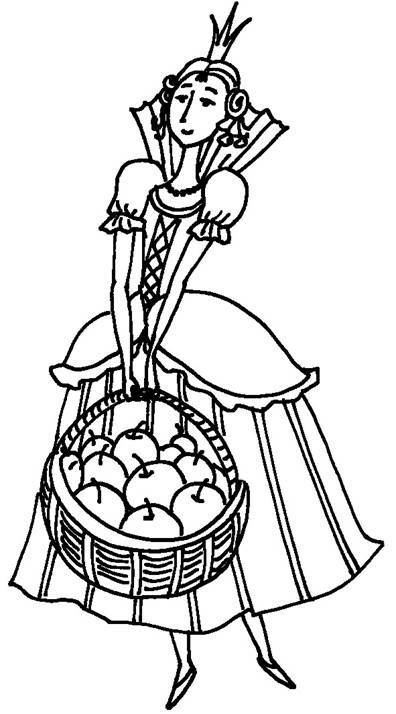 But Pomella was even more special: every day from morn until eve she toiled away in an orchard near the palace – her very own apple kingdom. Every autumn at her command heaped baskets full of the ripe fruit were carried through the gates and shared far and wide throughout the lands of her father the king. But the king was not happy. “Should a king's daughter be working in an orchard?” he asked. Everyone knew the king loved to eat. Every day there was a sumptuous feast. The enormous cakes, pies and candied dishes rolled out of the palace kitchen barely fit on the tables. The king and his guests would eat so much that their stomachs hurt, and most days they had a hard time getting to sleep. But the next day that was all forgotten, and the cooks were ordered to prepare another mountain of delicious sweets. The king grew fatter and fatter, his middle bulging out like a barrel. It took four servants to lift him out of bed in the morning. Soon he had a hard time moving around by himself, and doctors were summoned from all over the kingdom to examine the royal patient. Fat, they said, nodding to each other wisely, fat in the heart and liver. They prescribed the strongest medicines they could think of, but the medicines only made the king itch. Meanwhile the queen's blood pressure was rising, and one after another the ministers took to their beds. All of them were suffering from a lack of vitamins, for it had been years since anyone at court had eaten fruit or vegetables. Soon there was no one left to run the kingdom, and the young princess put her foot down. The king and queen and everyone else at court were put on a strict diet of apples and nothing but apples. Pomella took over the kitchen and gave lessons to the cooks: the sour apples went into salads and soups, semi-sweet ones into juices and applesauce, the sweet apples into jellies and puddings and jam. They even learned how to make apple bread. The king and queen were too weak to argue with their daughter, and the ministers followed along with whatever the king did. Before a week had passed everyone was feeling better. There were no more headaches, no swelling, no pain in the heart and liver. The queen and her maids-in-waiting grew almost kittenish as their slim waists and trim figures swished through the palace corridors. The apple diet worked wonders for the ministers, too. The years fell away and they leapt about with new-found ease, gleeful smiles on their faces. Soon everyone was well. The maids-in-waiting wrote down Pomella's every word, and as soon as the council was over rushed off to follow her advice. The king shook his head in amazement and hugged his daughter. What kind of apples do you like best? 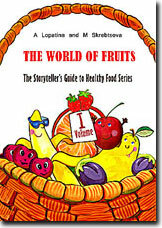 Show the children several different kinds of apples and ask them to share everything they know about apples. Cut an apple in half horizontally and show the children “the star” at the centre. Did the king and queen act differently after the apples helped them get well? Imagine that you're in charge of an apple cafe. Make up a menu of various apple dishes. 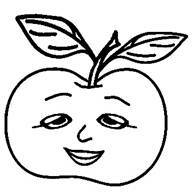 Draw the apple tree that Pomella dreamed about.